Parenting is full of adjustments like learning to function on little sleep or never leaving the house again without an arsenal of supplies. Fortunately for parents there’s been no compromising with the CRUZ. Its streamlined design gives you more without weighing you down. So stroll down bumpy city streets, maneuver around crowded malls, load your basket with your diaper bag, toys, groceries and whatever else you need. Relax, the world is still your oyster. Their slim design allows you to fit through tight doorways, down narrow aisles, along crowded city sidewalks and rocky garden paths with ease. Their included Toddler Seat is designed to meet the growing size and curiosity of your child. Your toddler can ride forwards, backwards, completely upright, fully reclined and anywhere in between. This will quickly become your favorite feature. The large opening means it’s easier to reach your diaper bag, toys and whatever else you pick up along the way. 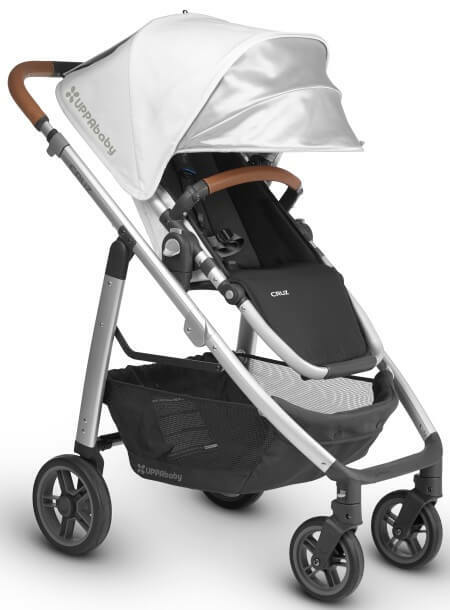 The CRUZ stroller paired with the MESA Infant Car Seat delivers a Performance Travel System that is the ultimate in portability and safety. No need to sacrifice performance for convenience. The CRUZ is also compatible with select Chicco®, Maxi-Cosi®, Nuna®, and Cybex infant car seats with our adapters. The Beauty of Real Leather. Their 100% full-grain leather accents on both the handlebar and bumper bar make for a rich and classic appearance. Like a favorite handbag or wallet, real leather matures with use, developing a beautiful patina. The leather on the handlebar is hand sewn and given a perforated pattern for extra grip while pushing baby, and the bumper bar leather is embossed for added resiliency that easily wipes clean from sticky fingers. Designed with infants in mind, the Infant SnugSeat provides extra comfort and stability for your baby’s neck and back when strolling. Must be used with toddler seat fully reclined. The Bassinet has been updated to feature a slightly longer mattress, creating a more comfortable environment for growing baby. 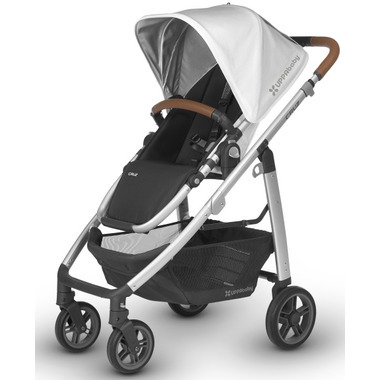 UPPAbaby Bassinet with extendable, pop out UPF 50+ sunshade. 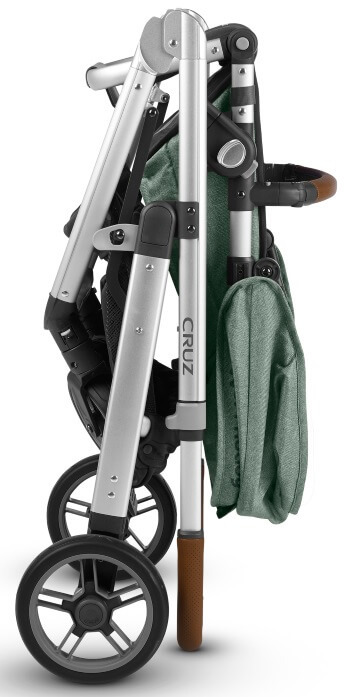 Transform your CRUZ into a pram that is ideal for your newborn. Whether for naps on the go or overnight sleeping, the UPPAbaby Bassinet allows your baby to lie completely flat in a healthy resting environment. Included Bug Shield and Rain Shield protect your baby from bugs and the elements. 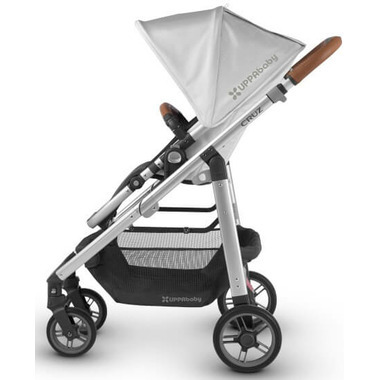 Their adjustable handlebar makes it comfortable for parents of varying heights to stroll with baby.